First edition of the photographer’s autobiography. Octavo, original half black cloth. 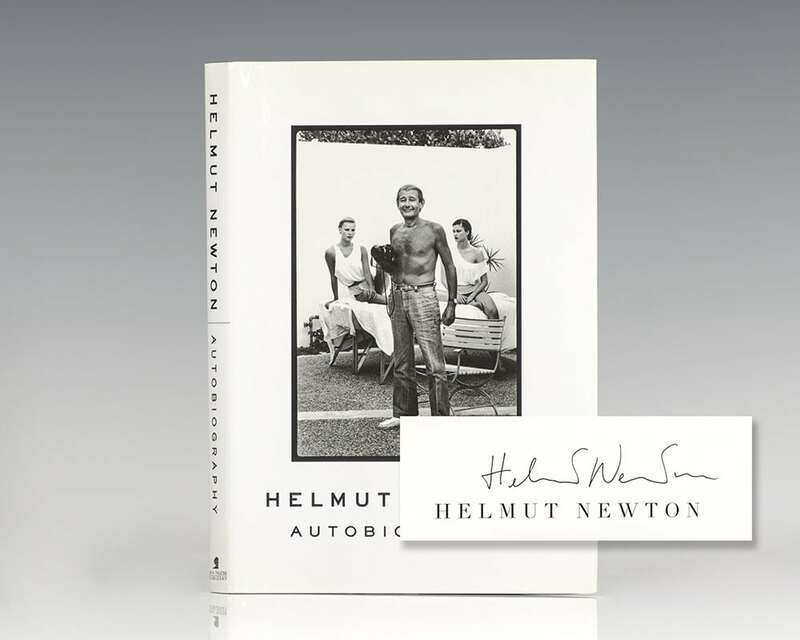 Signed by Helmut Newton on the title page. Fine in a fine dust jacket. A master of the risque, Helmut Newton intrigued the world for half a century with his provocative photographs of women and his "bad boy" persona. In his autobiography, Newton presents a candid portrait of himself, revealing a lifetime of adventure and providing insights into the connection between his life and work. New York: Congreve Publishing Company, 1978. 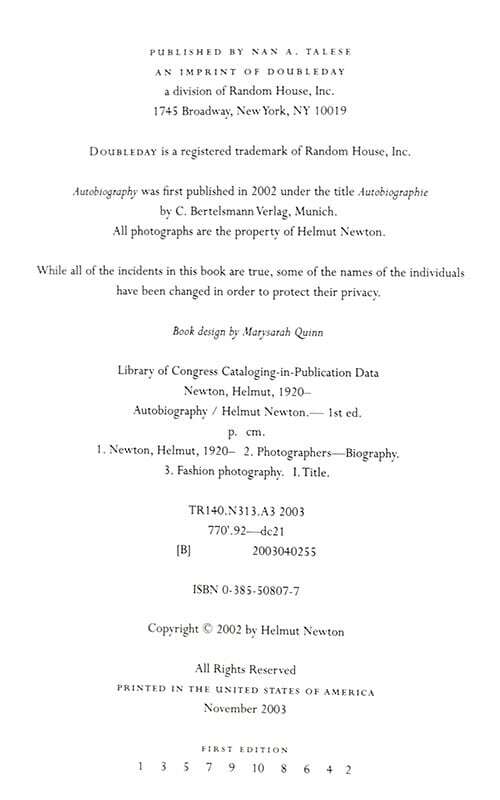 First edition of Newton’s second photobook. Small quarto, original cloth, illustrated throughout. 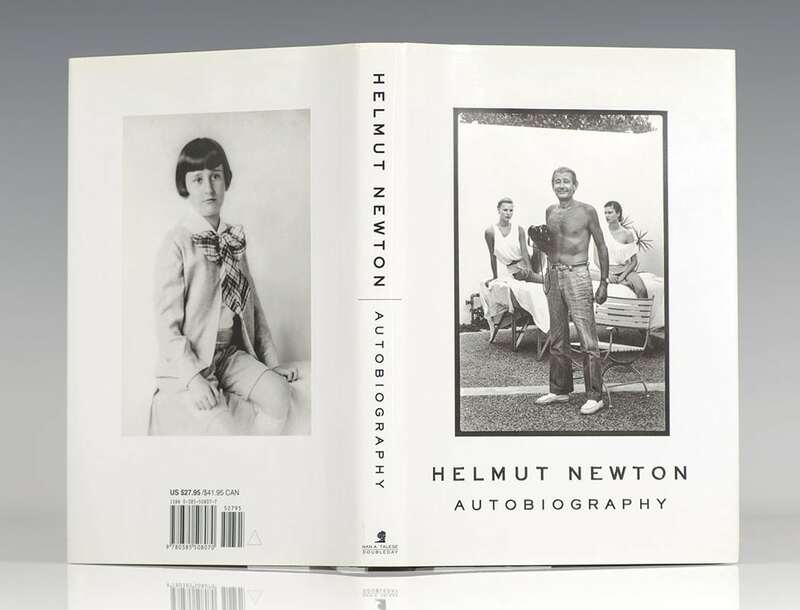 Boldly signed by Helmut Newton on the title page. Near fine in a near fine dust jacket. Introduction by Edward Behr.